Chad should adopt national legislation governing police use of force and firearms in compliance with international law. Every individual has the right to life, to the integrity of their person, to security, and to liberty, and to the protection of their privacy and of their property. Article 18 provides that "No one may be subjected, either to degrading and humiliating acts, treatment, or to torture." may only be limited for the respect of the freedoms and the rights of others and by the imperative to safeguard the public order and good morals. ... The law determines the conditions of their exercise. Article 195 sets as the mission of the National Gendarmerie: to ensure the protection of persons and of assets; to ensure the maintenance and re-establishment of public order; and to ensure respect for laws and regulations. Article 196 stipulates that the National Gendarmerie acts over the whole of Chadian territory "with respect for human rights and freedoms". Article 197 sets as the mission of the National Police: to ensure the security of the State; to ensure the maintenance and re-establishment of the public order; to ensure the security and protection of persons and property; to ensure public tranquility and health; and to ensure respect for laws and regulations. Article 198 stipulates that the National Police acts over the whole of Chadian territory "with respect for human rights and freedoms". 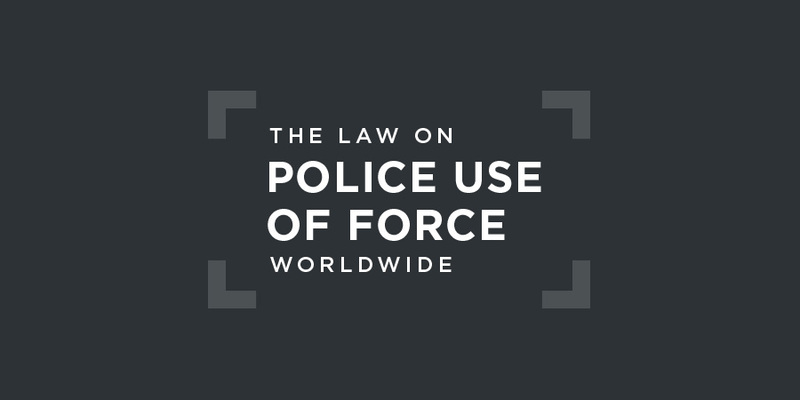 without justification, uses violence against one or more persons in the exercise of his or her duties will be punished with a term of imprisonment of between six months and five years. A 1962 Ordinance still governs the right of peaceful assembly, allowing the police to use force to disperse an unauthorised gathering. In addition, Article 123 of the 2017 Criminal Code prohibits in any public place any armed gathering or "any unarmed gathering that could disturb the public order." A crowd is said to be armed when the individual members carry or conceal weapons or any objects, in plain sight or not, "for use as weapons". In May 2018, Chad's Legislative Drafting Committee concluded its draft of new legislation on firearms. The draft law was submitted to the Minister of Security. at the lack of an independent mechanism to receive and investigate complaints regarding allegations of torture by police and defence forces. at reports that torture is commonly practised by police, defence and security forces, using particularly brutal and cruel methods. It [was] also concerned at the lack of information on complaints, investigations, prosecutions, convictions, penalties imposed on perpetrators, compensation awarded to victims and measures taken for their rehabilitation. disproportionate and excessive use of force against unarmed demonstrators. On 9 March 2015, the police suppressed a demonstration of pupils and students, shooting one of them dead. On 14 November 2016, a land dispute arose between the Miandoum population and transhumant herders. Security forces deployed from Doba and Bebedja used live ammunition in suppressing the peaceful demonstration of indigenous Miandoum heading for the city of Bebedja to make their voices heard. That action by the gendarmerie and the national police reportedly left at least seven civilians dead and 17 others injured. ... [O]n 27 November 2017, the police fired at close range at young persons from Pont Carol who were protesting peacefully against the sale of land intended for the town market by the acting mayor, killing six and injuring several others. Chad has not ratified the Protocol to the African Charter on Human and Peoples' Rights, allowing the African Court to hear cases alleging a violation of the Charter by the state. In 2013, the African Commission on Human and Peoples’ Rights conducted a joint human rights promotion mission to Chad. The Secretary-General at the Ministry of Interior and Public Security, Mr Goundoul Vikama, stated that there was much to be done regarding detention conditions in Chad. He mentioned cases of abuse that have tainted the image of the police such as the killing of a prisoner by a group of people, and after which the President of the Republic suspended all police officers and took stringent measures to reorganize the police force. He noted that even though people can only be held in custody for a maximum of 48 hours, there are cases of abuse where police officers do not comply with this rule. Regarding the use of torture in detention centres, the Secretary-General indicated that torture is no longer used in detention centres in the country.